Caulk is a sealant used with many bathroom fixtures to prevent water from leaking into areas it shouldn't. 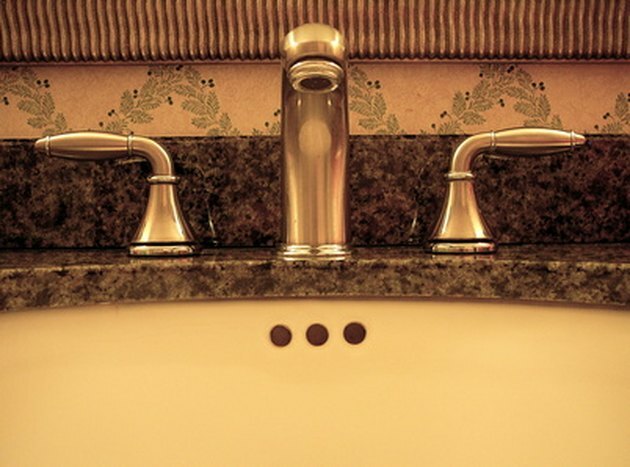 After time, caulk may begin to peel and become unattractive, which can mar the classy appearance of your cultured marble (polyester resin mixed with marble dust) fixtures. When the caulk becomes dingy or ineffective, it may be time to remove it from your fixtures. Don't concern yourself with calling a professional, though. Removing caulk is a task you can undertake on your own. Removing caulk from your cultured marble may seem daunting, but can be done with ease. 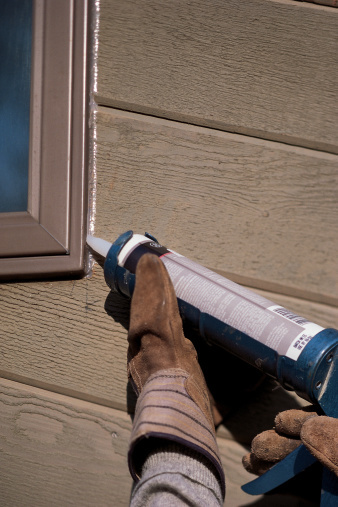 Coat the caulk with a caulk-removing solution. Most bottles come in a simple applicator that makes it easy to spread over the caulk. Let the caulk remover sit for the appropriate amount of time indicated on the package. Scrape the caulk out of the crevice using a utility knife. Keep a tight hold on the knife so that it does not slip and damage your cultured marble fixture. The first layers of caulk should fall away quickly, but the deeper layers may require more effort to remove. Pull the last strands of the caulk out of its crevice with a pair of needle-nose pliers. For crevices too small for the pliers to work, scrape them out with the utility knife. Use caution if you need to scrape out the remnants of caulk, though, or you may damage your cultured marble. Soak an abrasive pad with Stoddard solvent (also known as mineral spirits). Wash over the cultured marble with the abrasive pad. The Stoddard solvent will remove the residue left by the caulk.